Why do the prices increase or decrease on all items with time? Why don't we enjoy the same price of all items we bought a decade ago? It's because of Inflation and Deflation. "Inflation results in increase in the price of items. Deflation results in decrease in the price." 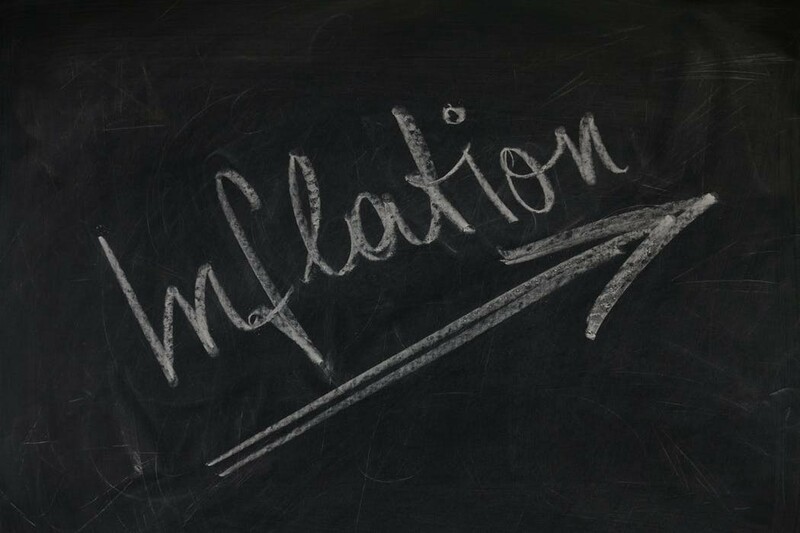 Usually the Inflation rate for almost all countries ranges from 4-6% every year. This means the price of any item will increase by 4-6% by next year. So an item which costs $100 today will cost approximately $104 - $106 by next year. This reduces the purchasing power of $100. The item that costs $100 last year will now costs $104 this year. That's because of Inflation. "Inflation reduces the purchasing power of money." That's the reason we get pay raises greater than or equal to 5%(approximately) every year. If that's not the minimum pay raise that you are getting, than probably you are in a wrong job industry. It's important for employers to raise their employee's pay by at least Inflation rate. That is how the Economy will work. Employees would get the pay raise, they'll buy the items they need like more grocery items, television, refrigerator, cars, etc. and allow the flow of money within the market. In order to buy for their needs and wants, they need a pay raise to be given, as a result of Inflation which increased the prices of these items. Since Inflation reduces the purchasing power of money, you get less quantity of items compared to what you had bought a year ago with same amount of money. This is bad. You have to pay more for same item(or same quantity of items) due to Inflation. "But there is a positive side as well. If you are in debt, you need to pay the same amount even after Inflation. The value of the money is decreased and you have the advantage of paying less, logically." So let's say if you are in $500 debt, after Inflation the purchasing power of this $500 decreased. What was $500 a year ago, is $520 today based on 4% Inflation rate. But you still need to pay $500 to cover your Debt. That's the reason Inflation is good if you are in Debt. You pay less, logically. So now you know the reason why we usually get approximately 4% interest rate in our Bank's Savings Account. Don't be very excited about the interest credit in your Bank Account. Inflation eats your interest credit and ultimately the value of your outstanding balance is same, even after Interest Credit. "If Bank's Interest rate is less than Inflation rate, than you are losing your money. Better put it in Stocks or Mutual Funds over long term." Deflation is opposite of Inflation. The purchasing power of money increases in Deflation. That means you get more quantity of items with same amount of money, compared to the quantity of items you had bought a year ago. Usually, Deflation is very rare. Government of different countries are smart enough to avoid Deflation. Why? They want economy to grow. Deflation might result in pay cuts(or no hikes) due to increase in purchasing power of money, which might result into people buying less items and that avoids economy to grow. People will have to pay more for their Debts(logically), as the purchasing power of money decreased. That's how Inflation and Deflation works. Small terms having huge impact on economy. I'd love to hear from you if you have any queries about Personal Finance and Money Management.